The University of Florida (UF) has been involved in ongoing tomato research over the years with the objective of aiding growers in production and cost efficiencies. The initial goal of university researchers was to breed a tomato plant that can be grown on the ground without staking or tying, which can be achieved with traditional tomato varieties. This has evolved over the years to meet grower needs. “Our ultimate goal of this project is to try to develop tomato varieties that are suitable to mechanical harvesting,” says Sam Hutton, assistant professor of tomato breeding and genetics at UF. The ability to breed a tomato plant with more compact vines would allow the plant to stay on top of the plasticulture without being staked or tied. This is unlike the traditional cropping system where tomatoes are planted into plastic-lined raised beds and then staked and tied through the growth season. These crops are labor intensive with hand pruning and manual harvest at maturity of the fruit. Traditional tomato varieties provide an issue with mechanical harvesting, because of their jointed stems. The mechanical removal of the fruit would involve partial stems attached that cause damage during harvesting and storage of neighboring fruit in the bins. Jointless stems are the key factor needed to engage in mechanical harvesting. Compact growth of the plants will aid in mechanical harvesting and decrease labor costs without involving the stakes and ties. 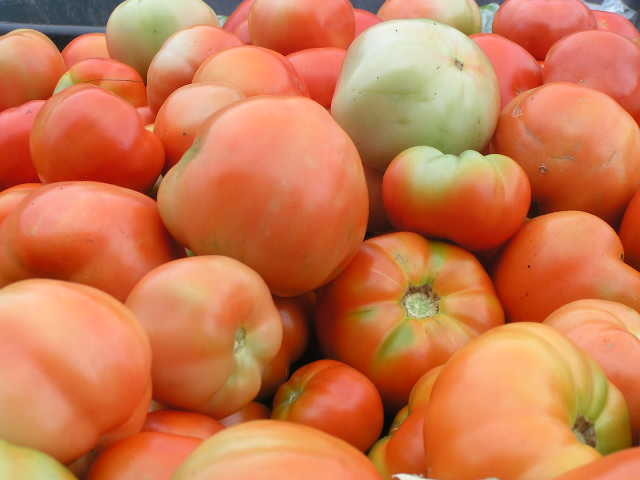 Jointless tomatoes with compact growth habits of commercial acceptability have not been completely developed for the Florida market, but progress continues to be made. This alternative tomato production system has been successfully adopted in California and has potential to positively impact Florida growers. The University of Florida tomato research team has been investing in this project for a long time. With grower support, the team hopes to alleviate some of the issues with climate changes, labor availability and overall production costs. This new variety would decrease growers’ monetary investment in terms of labor and streamline the process from planting to harvest.